North America is the 3rd largest continent according to its landmass. It is located at 7°12' north to 83°7' North latitude and 52°37' west to 172°27' East longitude, and has an area of 25.3 million sq.km (9.3 million sq. miles). The continent is bounded by The Atlantic Ocean in the east, The Pacific Ocean in the west, The Arctic Ocean in the north, The Panama Canal and the Caribbean Sea in the south, and The Bering Strait in the north-west. It has 23 countries including the island nations of Central and Latin America with 16 territories. The chief mountain chains here are the Rocky Mountain chain of approximately 4800km from North-South, Sierra Nevada, Sierra Madre and Appalachian Highland, Mt. McKinley (6194m) and Mt. Elbert (4399m). The rivers that flow here are the Mississippi, Missouri, Arkansas, Rio Grande, St. Lawrence, Yukon and Colorado. There are some great lakes like the Great Bear, Great Slave, Superior, Huron, Michigan, Winnipeg and Ontario. 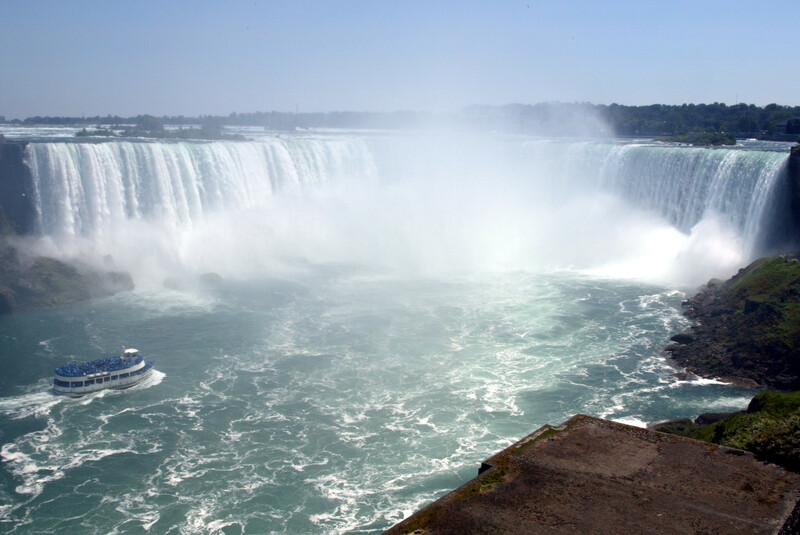 The Niagara Falls is a world famous waterfall which straddles the international border between the Canada and United States. 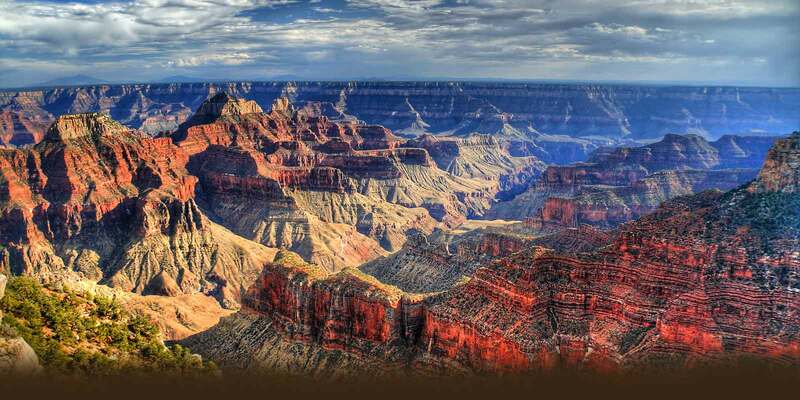 The Grand Canyon is the second deepest gorge in the world and is made by river Colorado. The Death Valley is the hottest place here with 150 sq. km. area and has an average temperature which does not fall below 50oC. The factor affecting the climate and vegetation of this continent are: latitude position, the Rocky Mountain Chain and coastal influence. Due to the influence of these factors, climate of North America greatly varies from one place to other places. There is extreme cold winter and very short summer with the maximum temperature of 10°C to 12°C. There is Tundra type of climate and vegetation called Taiga, with alpine forest consisting of soft wood. This forest is dense in Northwest and thinner towards East. The tall alpine trees are good in pulp and timber industries. Central part of North America: This region is cold in winter and hot in summer with less rainfall. About 150 mm annual rainfall takes place in this region. Vegetation consists of forest with scattered trees and large grass land which is called Prairies. Southern-Lower part of North America: It has mild winter and warm summer with adequate rainfall, due to coastal influence. It has coniferous forest. The Northern Part: The tundra type of climate is found in this part of North America. The climate is extremely cold throughout the year. The summer is very short and the winter is very long in this part. The temperature of this region varies from 0°C to 12°C. The climate in this part has been affected by influence of longitude. The Western Mountains: The Rocky mountain chain is located in western part of North America. 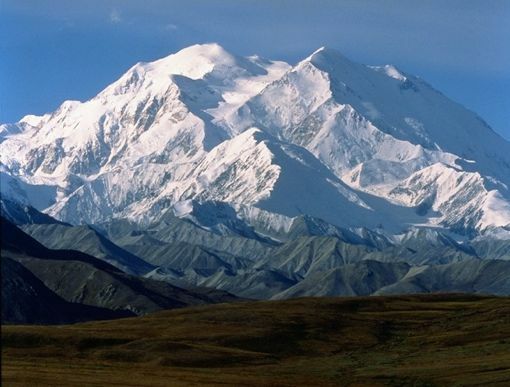 It is 4800 km which includes different mountain ranges like, the Alaska Range, the Sierra Nevada, and Sierra Madre. The region is the main source of large perennial rivers, mines and tourists sites. 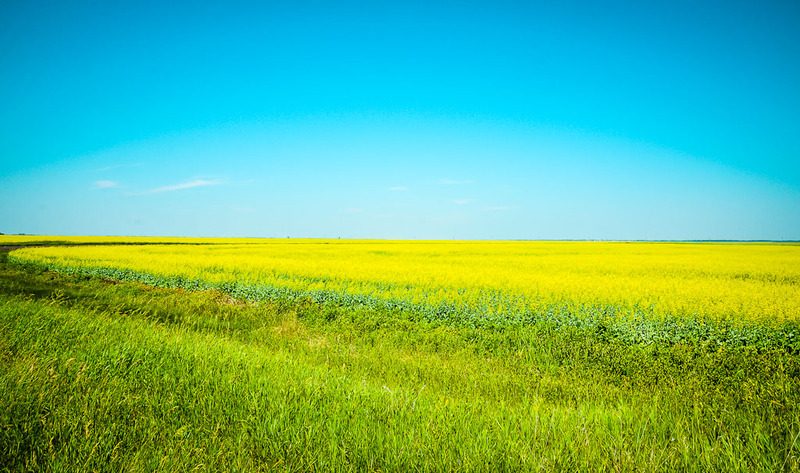 The Central Lowlands (Prairies): It is a vast plain land which is very fertile and rich for cultivation and supported by the beautiful and large rivers for irrigation. It is favorable for wheat farming, cattle rearing, agro-based industrialization and networking of international market. Eastern Plateaus (Highlands): It is extended from the Hudson Bay in the North to the Gulf of Mexico in the South which includes Appalachian mountain. This is also called the Great Mississippi Plain because the Mississippi river and its tributaries flow in the middle of the highland to the lowland. North America is 3rd largest continent. 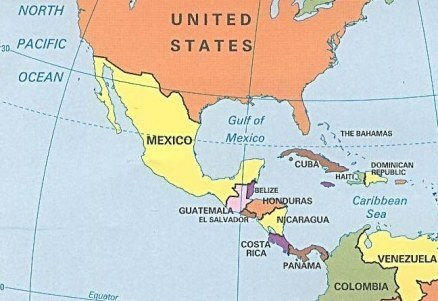 North America has 23 countries including the island nations of Central and Latin America with 16 territories. Rocky Mountain chain is found here. Climate of North America is extreme cold winter and very short summer with the maximum temperature of 10oC to 12oC. Eight Major Physical Features Of The U.S.A. It has developed fisheries business in New found land of Canada, why? Give major reasons. Fishery business has developed in New found land of Canada because it is a meeting point of warm and cold currents where a lot of sea organisms on which fish live are found. List the countries of North America. Give a brief description to region of North America to any one physical. Eastern high lands are old fold mountains which have been denuded over millions of years. They form a complicated high land system. There are three highland areas within eastern highlands in North America. In the extreme north, there is the plateau of Greenland. The Labrador plateau and the laureate highland cover a great are of Canada to the north of St. Lawrence valley. Further south of St. Lawrence valley in the United States lie in the Appalachian highland. These highlands extreme form new found land to Alabama. 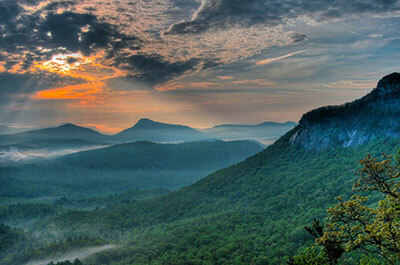 East of the Appalachian Ranges lay the plateau and the piedmont Atlantic coastal plain. What are the three major physical division of North America? Explain any one of them. The eastern highlands are old fold mountains which have been denuded over millions of years. There are three highland areas in North America. In the extreme north, there is a high plateau of Greenland. The labrador plateau and the laurentian highland cover a great area of Canada to the north of the St. Lawrence valley. Further south of St.Lawrence valley in the United States lies the Appalachian highlands. How many types of climate are found in North America? What are they? Eastern Part of North America Is highly developed. Why? Eastern part of North America run from north to south along the Atlantic ocean. It is a fertile land which consists of gulf plain, Atlantic coastal plain and St. Lawrence river basins. There are several indentations resulted by gulfs, bays and inlets. So, thousands of harbors have been established. They provide an ideal condition to keep trade relation with different parts of the world. Moreover, this region has equable climate. Such climate is best for human habitation highly advanced people in this region. They have established many industries and run all sorts of services. The biggest and famous inventions of the world have taken place in this region. So, eastern part of the North America is highly developed. Which sea lies in the east of North America? 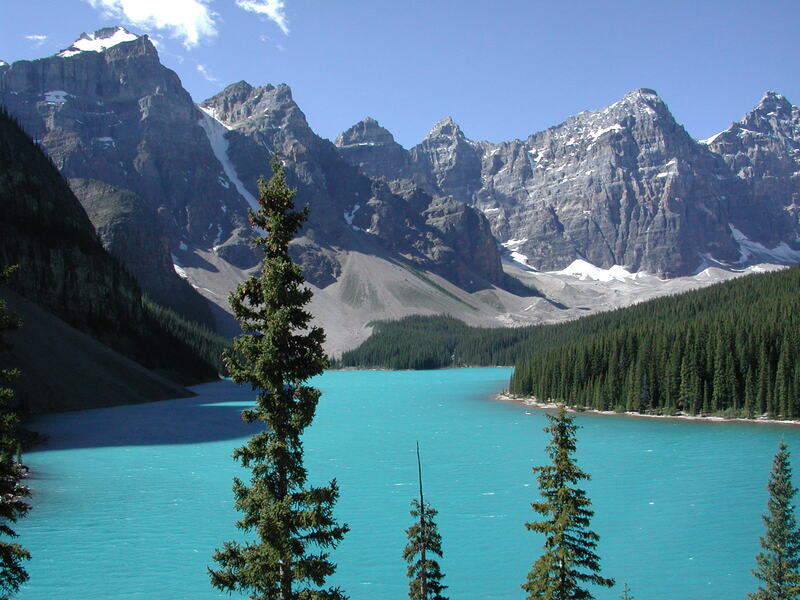 Which lake of North America is known as the world's biggest fresh water lake? Why is wheat cultivated in winter in Nepal but in spring in USA? There are diversified climates in North America,what are the causes for this? Any Questions on 'North America '?